Representatives of local authorities and civil society organizations from Ukraine, Azerbaijan, Armenia, Georgia, Kazakhstan, Kyrgyzstan, Moldova, Mongolia and Tajikistan discussed best practices of international initiative Open Government Partnership (OGP) during 2 days in Kyiv. The aim of the Initiative is to provide transparency and accountability of public policy, to tackle corruption and engage civil society bodies into policy-making. The first international meeting of the representatives from 10 Eurasia countries was held on February 16-17, 2017 to exchange good practices of transparency and anti-corruption measures implemented in the framework of global initiative OGP. Implementation results during 5 years of OGP functioning in Ukraine, the actual agenda in development of the Partnership, interesting information and key messages are represented in the review of Civic Space. Open Government Partnership (OGP) is a multilateral initiative formally launched on September 20, 2011, when the 8 founding governments (Brazil, Indonesia, Mexico, Norway, the Philippines, South Africa, the United Kingdom and the United States) endorsed the Open Government Declaration, and announced their country action plans. Since 2011, OGP has welcomed the commitment of 67 additional governments to join the Partnership. Ukraine joined OGP in 2011. OGP contributed to reforms, positive policy changes, reduced corruption rate, development of governance culture and authorities transparency in many countries. OGP gives an opportunity for Ukrainian reformers to learn the experience of other countries which could foster acceleration of reforms and improve opportunities for civil society. OGP became a platform for exchange of experience and good practices elaboration between partner countries during the last 5 years. Ukraine implements already the third National Action Plan within the framework of OGP. 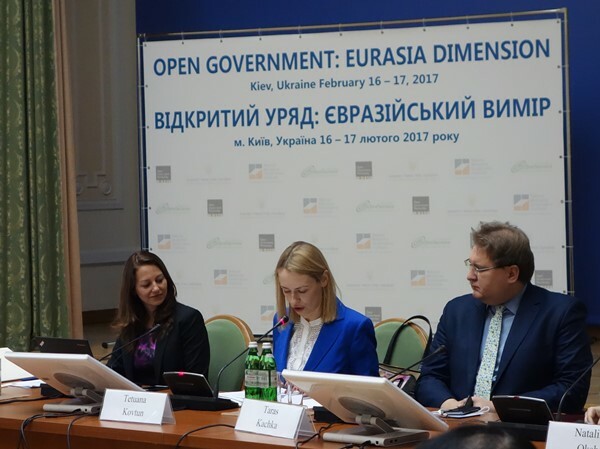 “OGP gives wide opportunities to improve quality of governance, established on the principles of transparency, accountability and trust”, – says Tetyana Kovtun, a Deputy Secretary of Cabinet of Ministers of Ukraine. 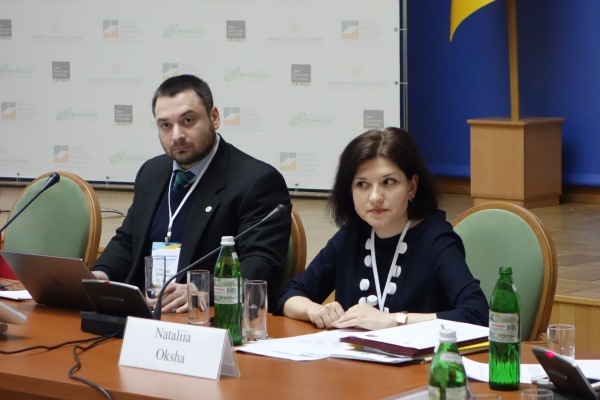 “Ukraine is one of the key players in OGP, whose example could inspire the other countries to implement the open government reforms”, – states Suneeta Kaimal, CEO, Natural Resource Governance Institute. “Conflicts and misunderstandings in society are caused namely by the closed authorities. Openness of government gives an opportunity to understand the logic of public policy steps. Situation of the last years in Ukraine, when sometimes a misbalance between openness of government and privacy safety took place, is not just a question of the plan implementation, but a fundamental condition for structural reforms taking place in the country”, – Taras Kachka, Deputy Executive Director, International Renaissance Foundation (IRF). Public e-procurement system Prozorro: This is one of the best examples of coordinated work between government, civil society and business. The system was initially being developed by civil society and business representatives, the government actively joined the process of elaboration later. Today we have already an economic effect from the system implementation. In 2014 we talked about just 1 % of state money saved, while in 2016 we were talking about 14 % of economy. In figures it goes about $ 300 million in state funds savings. Е-declaring: Last year an electronic declaring portal was established in Ukraine. More than 100 thousand civil servants placed their declarations already there. Today anyone can see their declarations. Also a procedure for the analysis and inspection of these declarations is provided. From this year all civil servants and local government officials will submit electronic declarations. It goes about more than 1 million electronic declarations to be placed in the system. Every year, all public officials have the obligation to fill in the declaration. eData Portal for tracking public funds online: In 2014 creation of platforms in several regions of Ukraine was planned, but the commitment was exceeded. Law of Ukraine “Access to Public Information” was implemented and government took on the commitment to create single governmental web portal of public funds. Portal consists of two main parts: Use of Public Funds and Transparent Budget. The first one includes the State Treasury’s transactions and public funds use reports, and the second one contains information on the transparency of budgetary procedures. The plan envisages not only disclosure of public information but also elaboration of analytical system able to generate analytical reports according to given criteria. Information on state funds use and local budget spending is open in understandable manner for every citizen. Single State Web Portal of open data: In 2015 Ukraine implemented a Law on the creation of an Open Data Single Web Portal. Starting from the last year, all executive agencies are required to place their data sets and conducted registers on this site. Transparency of political party funding: Although this commitment was included in the first Action plan of “Open Government”, it was implemented later. Political parties in Ukraine are given an opportunity to receive public funds today. The aim of this commitment is to tackle political corruption in the country. All political parties included those receiving public funding are obliged to submit reports of their financial activity. Electronic petitions: Today, electronic petitions can be submitted to the President, through the website of the President of Ukraine, to the Cabinet of Ministers through the website of the Cabinet of Ministers of Ukraine and to the Parliament through the website of the Verkhovna Rada of Ukraine. Electronic petitions can also be submitted to local authorities. Each government body was obliged to create an appropriate system allowing to submit appeals on its website. At the national level the petition addressed to the President, Cabinet and Parliament should be signed by 25 thousand citizens in order to be considered. Talking about local authorities, they adopted internal documents regulating the number of votes necessary for petition to be considered, based on the population of the region. In Kyiv it is necessary to have 10 thousand votes for consideration. Extractive Industries Transparency Initiative (EITI): This independent standard of transparency, voluntarily supported at the international level, is being implemented in 48 countries. Ukraine has prepared two reports as part of the initiative for now. Improvement of legislation concerning this issue continues. Participants of the meeting were also interested in opening the archives of the KGB. Every citizen of Ukraine has the right to access a dossier of his family, friends and colleagues, previously labeled as a secret one. The Institute of National Memory Archive is created, where all documents belonging to law enforcement bodies and the Security Service, will be stored. Citizens will have access to these documents. The discussion lasted almost 5 months. The first phase, which lasted from January to March, covered the collection of proposals. It took place in a variety of formats: open groups of the Coordinating Council and Ministries collected proposals related to their field. 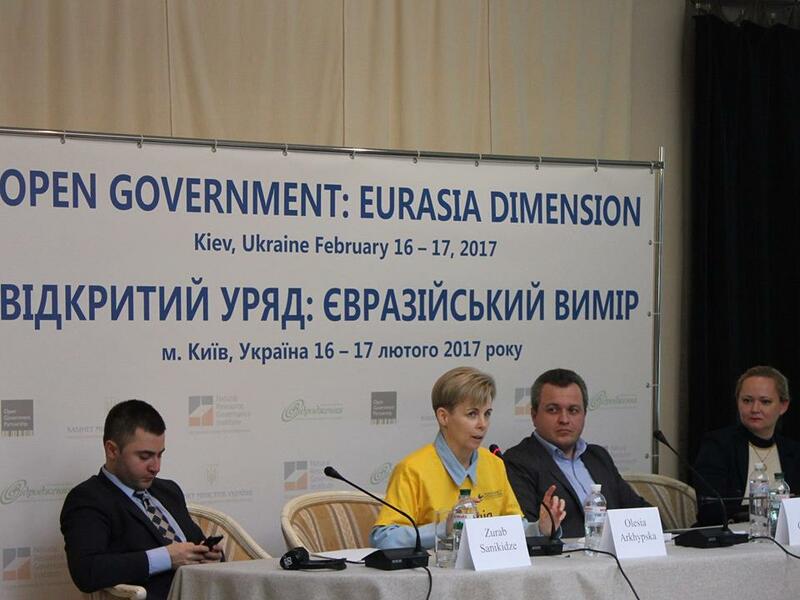 In addition, consultations with the representatives of civil society organizations were held in each region of Ukraine and in Kyiv. In March last year the event was held in the world cafe format. The participants were asked to prepare and submit their proposals to the plan. More than 250 proposals were collected. After checking for relevance about 120 proposals were selected. In addition, online voting through the web portal were carried out, where everyone could choose five priority commitments. As a result 60 proposals were approved. 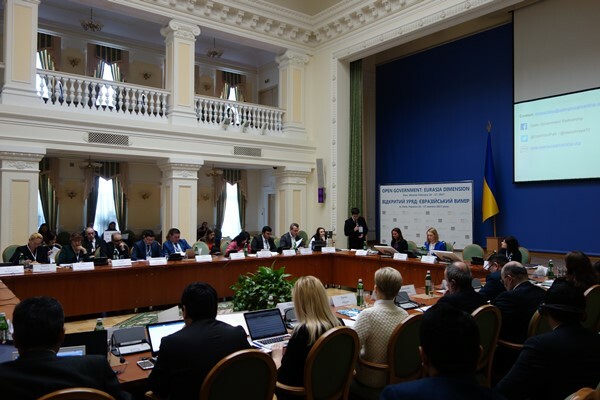 Coordination Council, established in Ukraine as a platform for interaction between government and civil society, during in initiative implementation considered all received proposals and vote results. As a result, a new plan, which includes 17 major commitments, was drawn up. It consists of several implementation stages and meet all five major challenges of OGP. Remarks from Independent Reporting Mechanism (IRM) were taken into account during the plan elaboration. It was recommended to reduce the number of commitments and make them more detailed. The first two Action Plans implemented in Ukraine, contained more than 30 events. Current plan consists of only 17 commitments. They are more detailed and include several stages of implementation. One of the comments received from IRM, concerned large number of activities that assume adoption of legislation. Implemented measures should be more practical, according to IRM opinion. Today, the number of acts to be adopted by Ukraine is much lower than in previous years. Implementing CoST standards: introduction of International transparency standards in construction. Four pilot projects in the field of road construction are envisaged to be implemented. In case of their successful implementation, the Initiative will be extended to all areas of economic development. Creation of the mechanism for verification of beneficial owners: For several years companies and organizations in Ukraine are obliged to disclose information on beneficiary owners. But the question is whether this information is valid. So, the plan proposed to develop new mechanisms to verify information given by the companies”. Creation of a new system is assumed, that will allow every citizen to monitor ecology state of particular parts of Ukraine. Work towards communities’ safety: “Community Policing”, which provides empowerment of police and citizens to enhance public safety is planned. Public control over Prozorro system: There is some progress in the implementation of the system. But there is a need for independent monitoring of the systems. This commitment implies an opportunity to provide Prozorro system compatibility with other systems and registers. Natalia Oksha said at the meeting: “We reviewed the work and decided that we are not satisfied with the efficiency of Coordinating Council created for Initiative implementation”. And the next day the Government amended the Decree of the Cabinet of Ministers of Ukraine on June 13, 2012 № 671 “Some issues on implementation of OGP Initiative in Ukraine”, which approved the composition of Coordination Council for OGP Initiative implementation. In particular, a new seat composition in the Coordination Council was approved, the number of its members was reduced from 40 to 14 (7 representatives from the executive authorities and 7 – from the public). It was also decided that the Coordinating Council would have two Chairs – one from the government (Ministry from the Cabinet of Ministers) and one – from civil society. The members of the Coordinating Council from the public were envisaged to be selected on a competitive basis. 36 chapters of the global movement Transparency International (39% of all chapters) are involved and work with governments in public accountability initiatives, including OGP. An important decision was the accession of TI Ukraine to the “Paris Declaration” – initiative with three priorities: disclosure of beneficial owners, dialogue between government and public using the latest ICT, and e-procurement. According to a governance expert, a member of the Coordination Council Initiative Olesya Arkhypska (TI Ukraine), OGP initiative is effective in Ukraine due to proactive position of civil society: “The existing mechanism of the Initiative is a unique opportunity to transform and build a proper system of responsible government. Our immediate task is not only further transformation of coordination system of the civil society and government agencies in Ukraine, combating corruption, but also building transnational platform of the stakeholders”.